The Best Time for Protein! Timing is everything when it comes to protein’s impact on performance and recovery. – By registered dietician Amy Gorin. When Olympic marathoner Shalane Flanagan sits down for post-run meatballs, she’s doing her body a big favour. 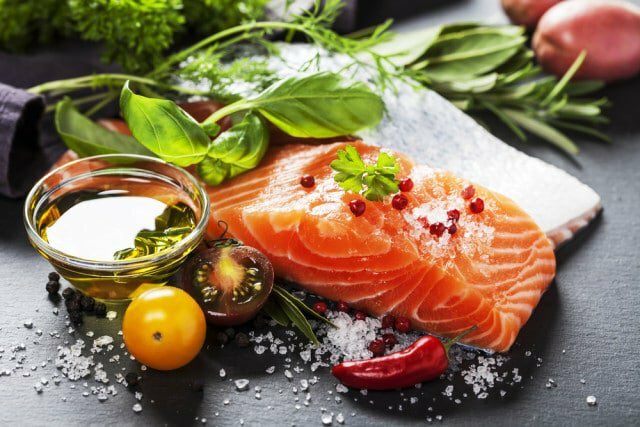 Protein, made up of amino acids, is so important to muscle repair, recovery, and building that runners should have a greater portion of the nutrient after their workouts than at any other time of day, according to new research from the American College of Sports Medicine (ACSM), the Academy of Nutrition and Dietetics (the Academy) in the US, and the Dieticians of Canada. Indeed, instead of looking at general intake guidelines, runners should plan their daily protein consumption around their workouts – and readjust intake on days when they aren’t exercising. This, researchers say, will help your muscles become stronger and more adaptable to training. According to this research, which focused on how much protein athletes need and when they need it, you should consume 1.2 to 2 grams per kilo of body weight daily. So a 68-kilogram woman, for example, needs 81 to 137 grams. These recommendations are well above the Recommended Dietary Allowances. “There is good evidence that this increased protein helps athletes to maximise metabolic adaptation to training,” says registered dietician Alissa Rumsey, a spokesperson for the Academy. The paper looked at a range of athletes and their protein requirements. Runners who log a few kilometres a day fall on the lower end of the spectrum (1.2 to 1.5 grams per kilogram of body weight). Those clocking longer, harder mileage (at least 40 to 50 kilometres weekly) should aim for 1.5 to 1.8 grams per kilo, while those serious about lifting weights need the most protein, at 2 grams per kilo of body weight. These are protein options for a 68-kilogram female runner. 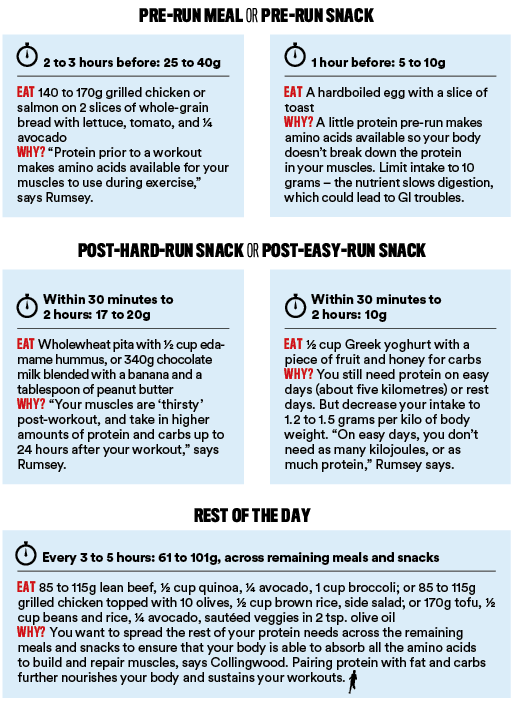 Depending on when you run, choose a meal or snack for fuel and recovery. On hard days, have a post-run snack with more protein. If you’re running long or doing speedwork, aim to have the higher amount of protein in your meal or snack; for easier runs, the lower amount. On rest days, divide your daily total protein intake evenly between meals and snacks.